This blog from A Bisnow interview of josh Goldfarb of multihousing Adivors, SHOWS THE DESIRE OF A CREATIVE LOOK IN HOUSING BY MILLENNIALS. A CREATIVE LOOK IN HOUSING IS NO LONGER CONFINED TO ONLY UNITS WITH A MEZZANINE LOFT. 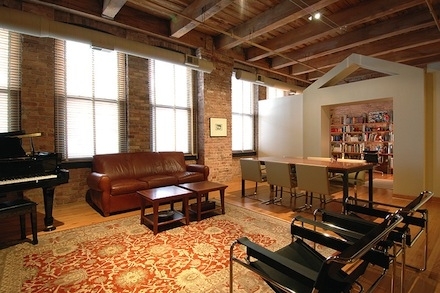 “LOFT’ HAS BECOME CODE FOR EXPOSED BUILDING ELEMENTS THAT MAKE UP THE CORE COMPONENTS OF CREATIVE SPACE. SOFT LOFTS ARE EXPOSING ELEMENTS IN NON-INDUSTRIAL TYPE BUILDINGS WITHOUT HIGH CEILINGS. SOME OF THESE SAME CREATIVE FEATURES CAN BE USED TO GIVE A LOFT LOOK TO EXISTING TRADITIONAL APARTMENTS.